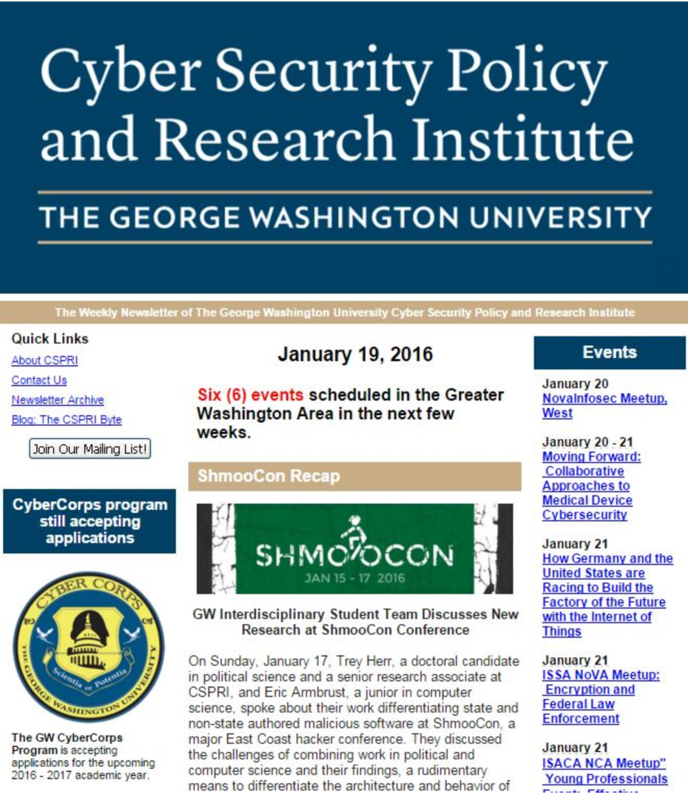 CSPRI previously published a weekly newsletter. They are archived here. Below is a list of archived CSPRI newsletters.